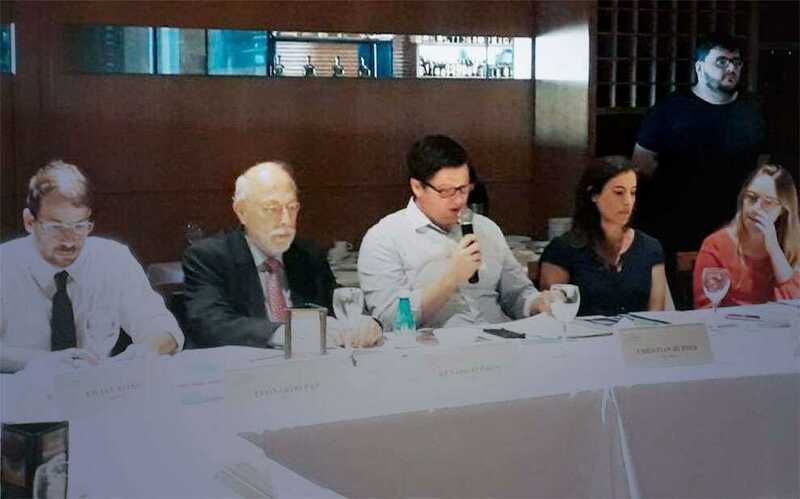 The event was attended by Christian Hübner, Director of KAS/EKLA, Karina Marzan, Coordinator of the Program, as well as Brazilian and foreign experts, who discussed issues related to climate financing and blockchain technology. The workshop’s main debate had the purpose of identifying what kind of contributions blockchain technology can make to public and private climate financing initiatives. The main goal was to seek ways to make these processes more transparent, eradicate illegal practices and corruption, and streamline financing streams. During the event, some examples of initiatives already under development that combine Blockchain technology with sustainability were also presented. Among them, the highlights were the presentation of BNDES, the Environmental Stock Exchange Institute (IBVRio), and the startup Mitra. The project will ultimately result in the drafting of a final Report to be released in the second half of the year. Go to the website for more information on the project.